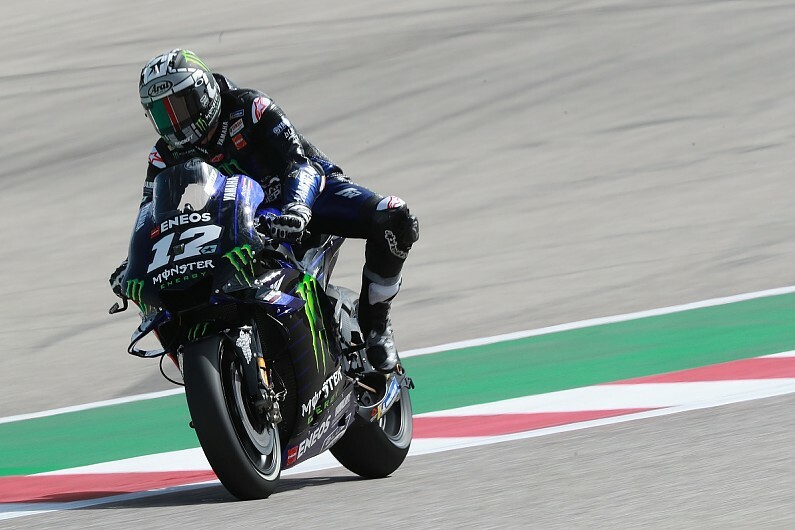 Maverick Vinales beat Marc Marquez to top second practice for this weekend’s Grand Prix of the Americas at Austin, as Honda introduced a Ducati-style winglet on its MotoGP bike. Honda had already gained the approval of MotoGP technical director Danny Aldridge to use its version of the controversial appendage first used by Ducati in Qatar, with the winglet finally breaking cover on Marquez’s bike during his second run. By that stage, the reigning champion had already beaten his benchmark time from the morning’s opening practice session, moving to the top on a 2m05.276s early on, before laying down a 2m04.719s on his next lap. That lap remained the one to beat until the final five minutes of the session, when the soft-tyre runs began in earnest, but Marquez found himself giving a tow to the Pramac Ducati of Jack Miller – who duly set a time 0.005 seconds faster to take the top spot. Marquez tried to respond on his final flying lap, but had to settle for second, falling short by 0.044s. Valentino Rossi briefly made it a Yamaha one-two with his 2m04.003s lap, and ended up third, just over a tenth slower than Marquez and 0.002s up on Miller in fourth. LCR Honda’s Cal Crutchlow completed the top five, followed by Alex Rins on the Suzuki and KTM’s Pol Espargaro – who profited from sitting behind Andrea Dovizioso’s Ducati on his best lap. Dovizioso was the biggest name to miss out on a space in the top 10, ending up almost a tenth down on Bagnaia, and with rain forecast for Saturday morning the 2017/18 championship runner-up faces having to fight through Q1. Works team-mate Danilo Petrucci ended up down in 13th, a place ahead of top Aprilia rider Aleix Espargaro, while Jorge Lorenzo’s tough weekend continued in 16th place.